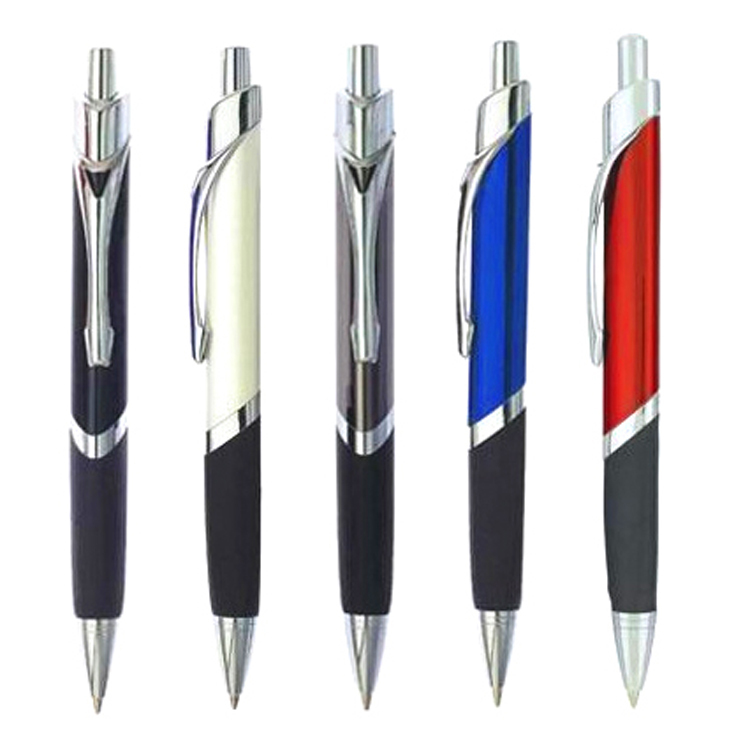 Popular stylish click plunger action metallic hotel curvy pens, with comfort rubber grip, silver trim accents, black or blue ink optional. 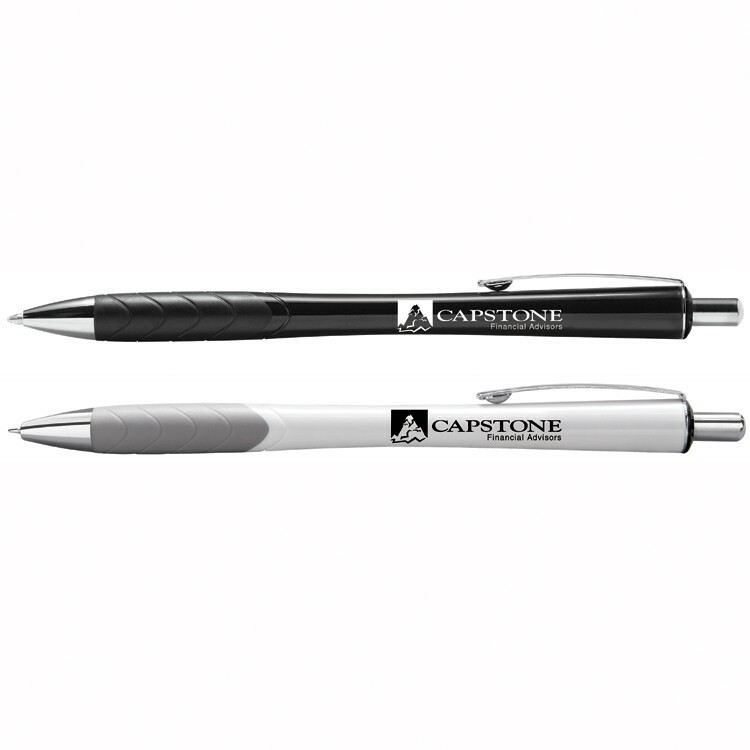 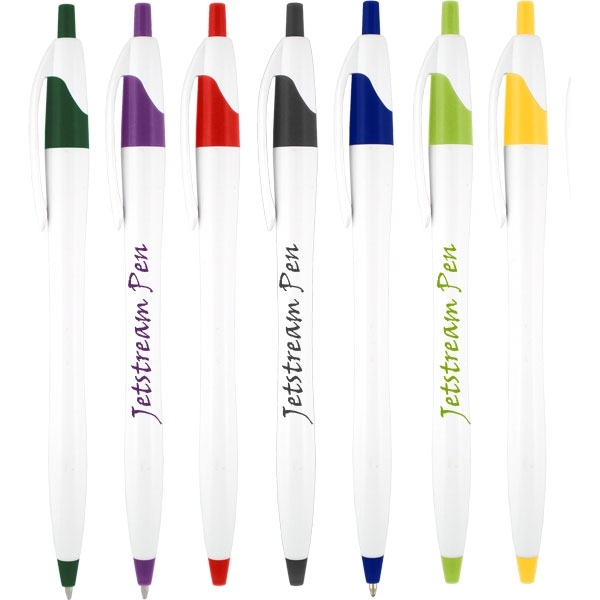 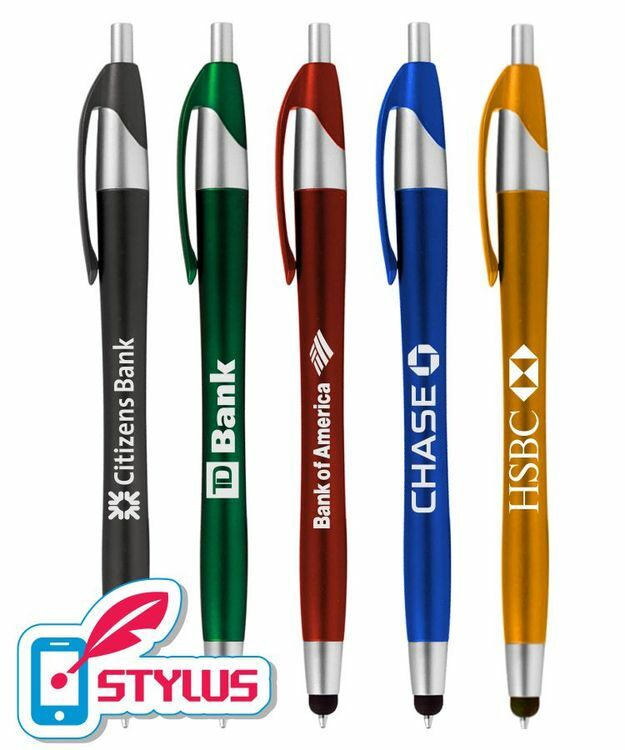 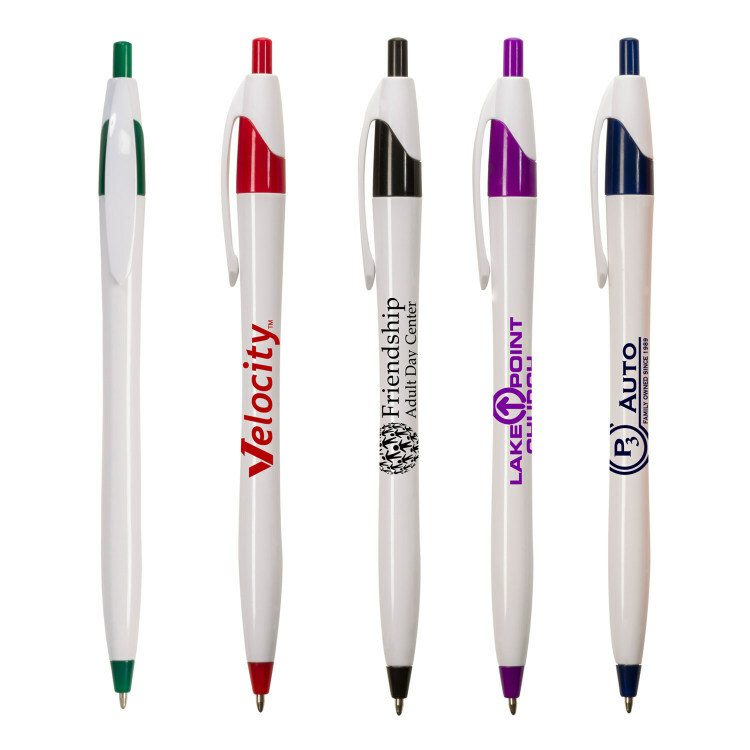 Give your marketing plan a booster shot with the Pen with syringe shape! 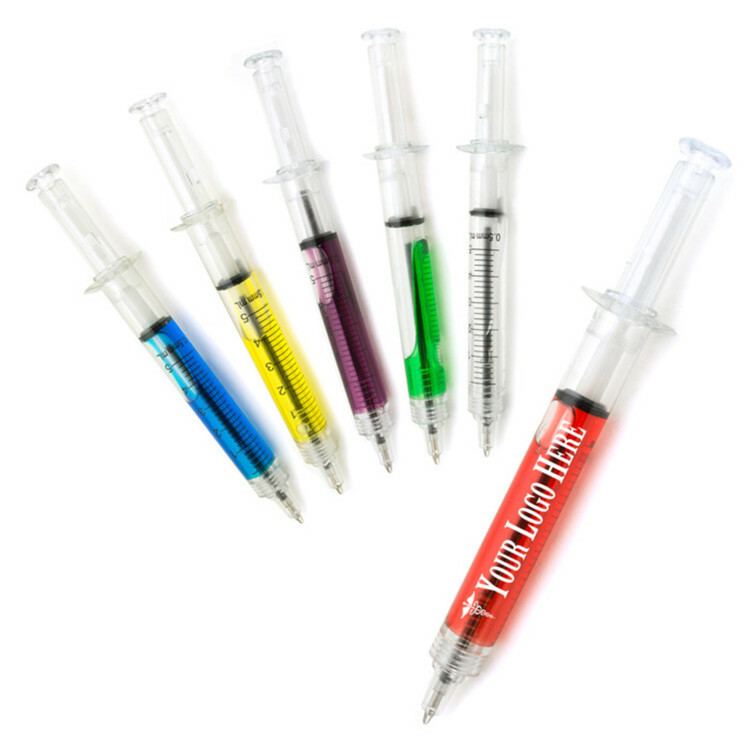 The syringe pen is a liquid filled, click action ballpoint pen in the shape of a syringe. 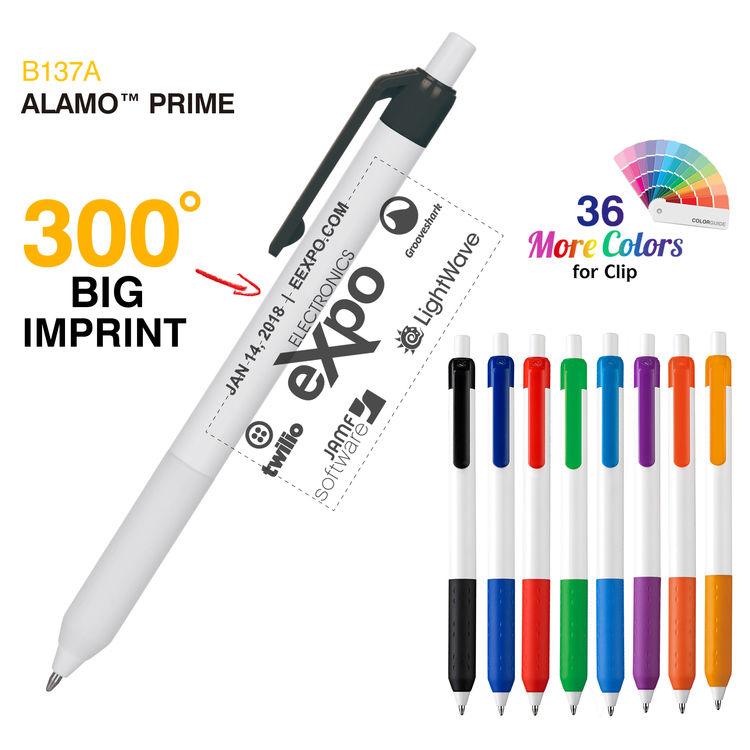 The fluid measurements are featured on one side and your business imprint is on the opposite side. 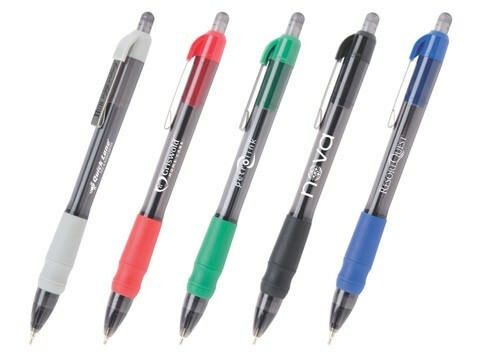 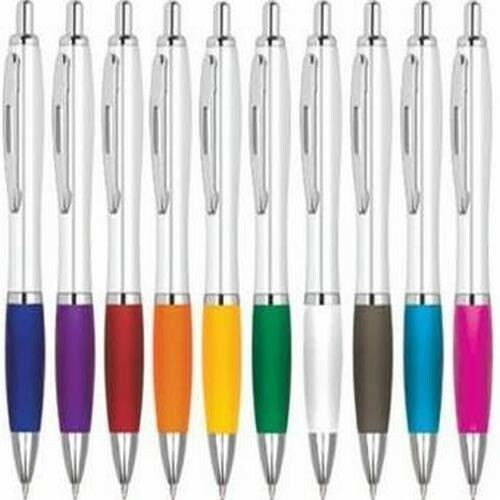 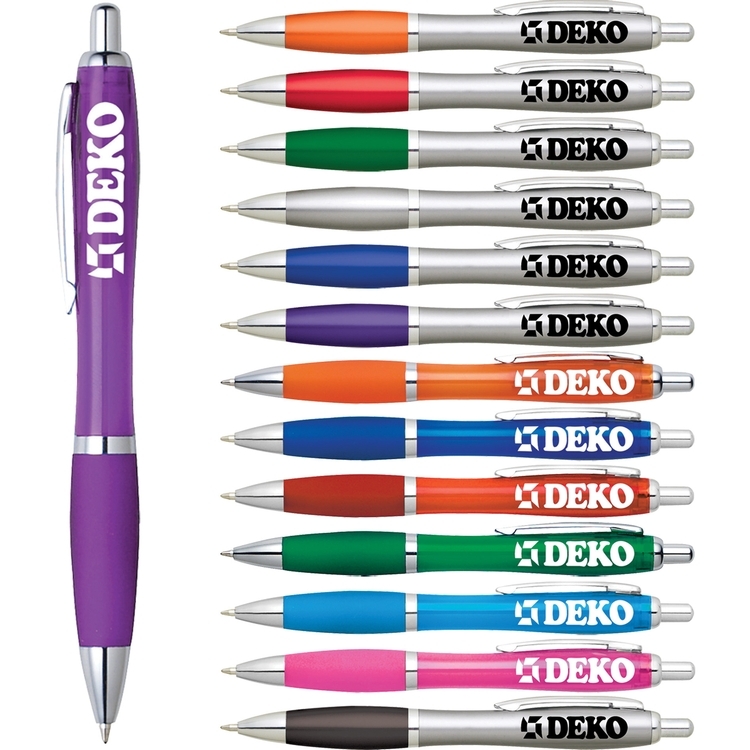 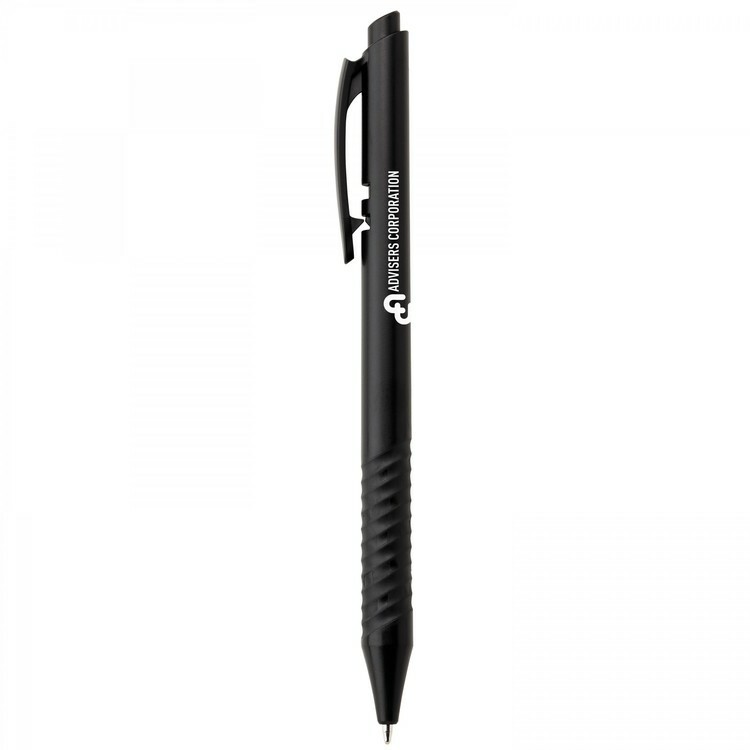 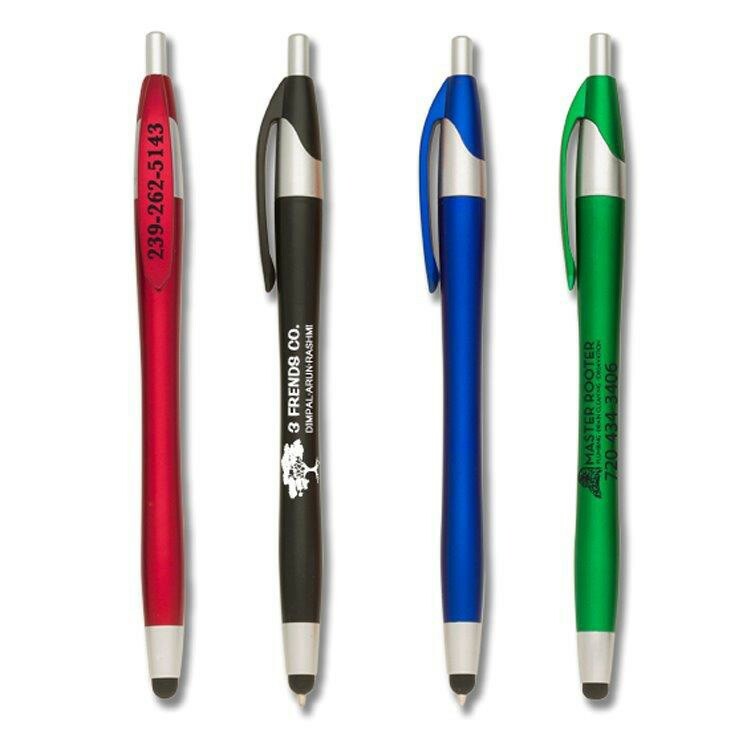 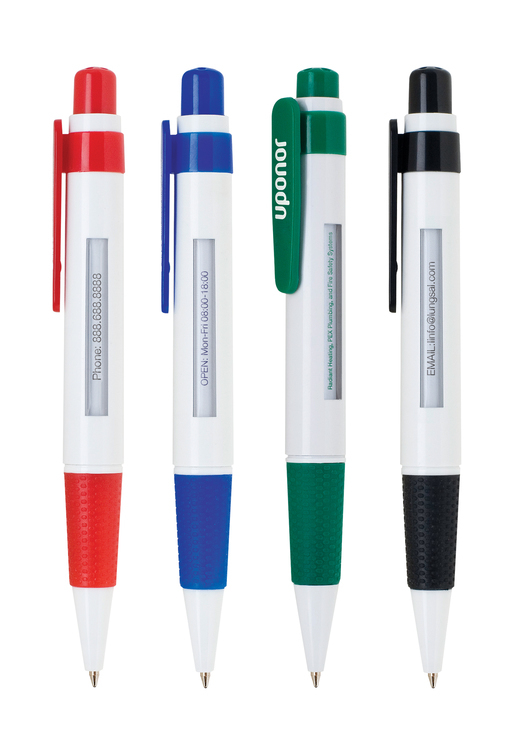 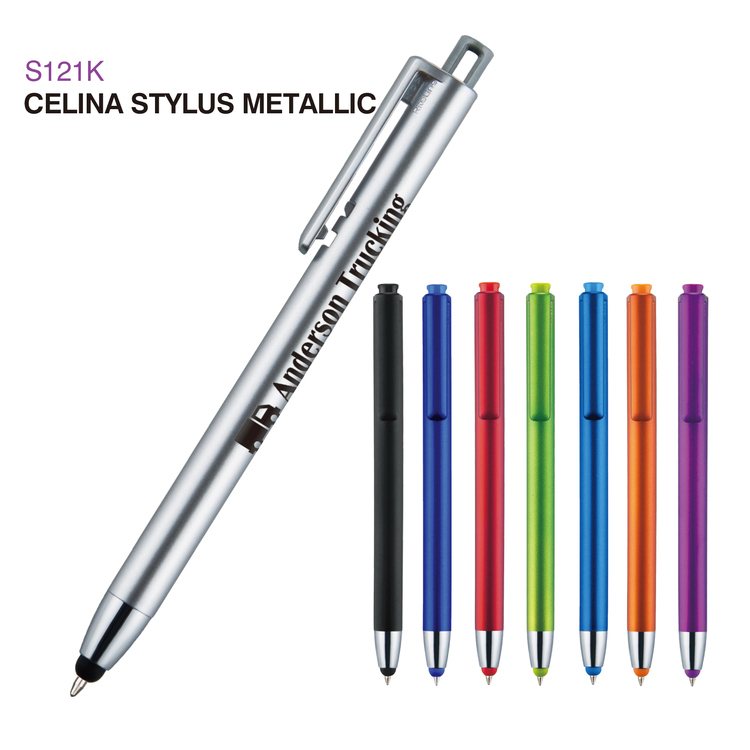 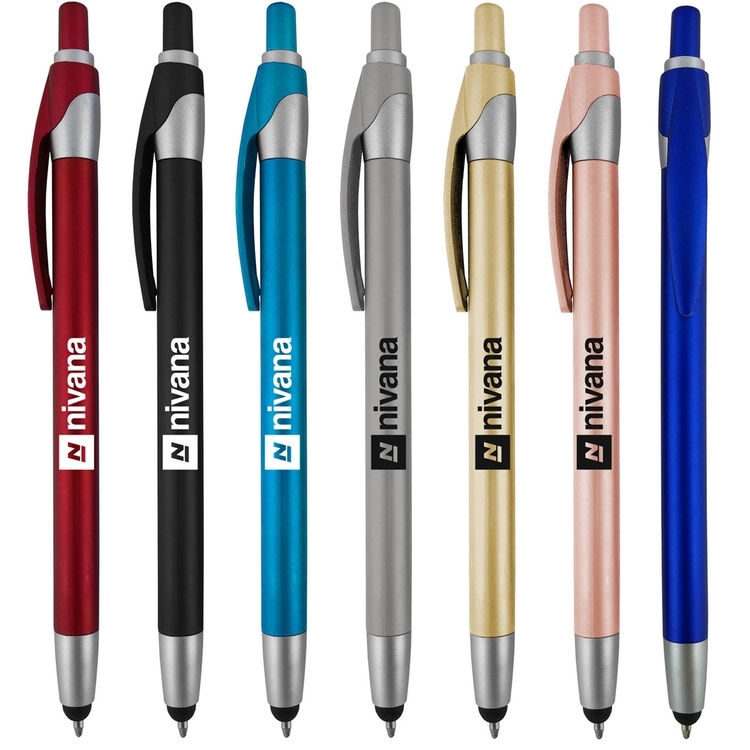 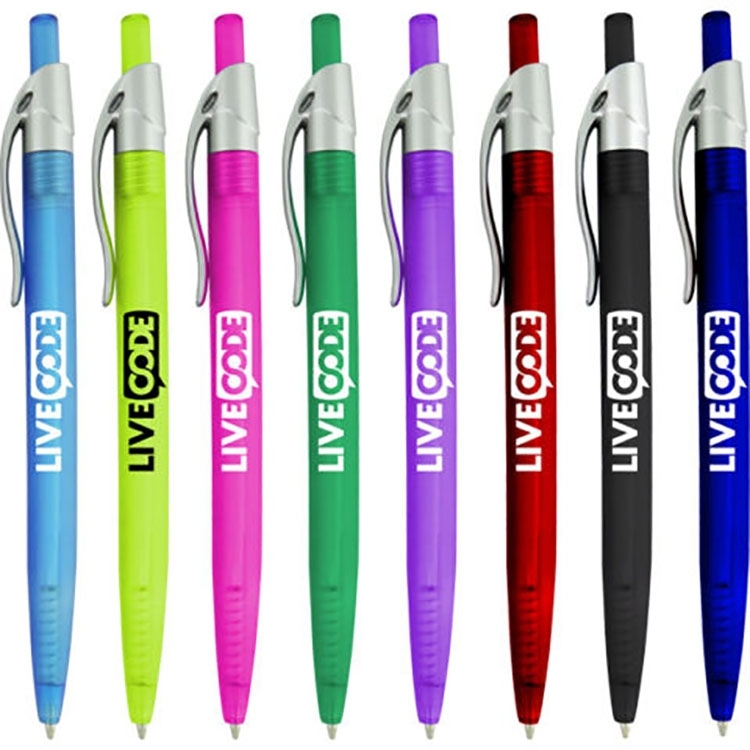 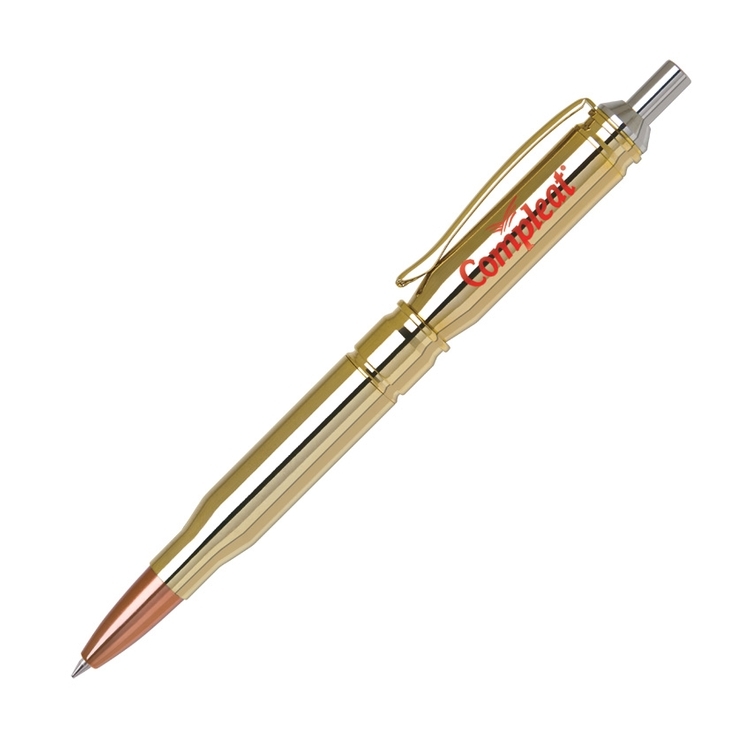 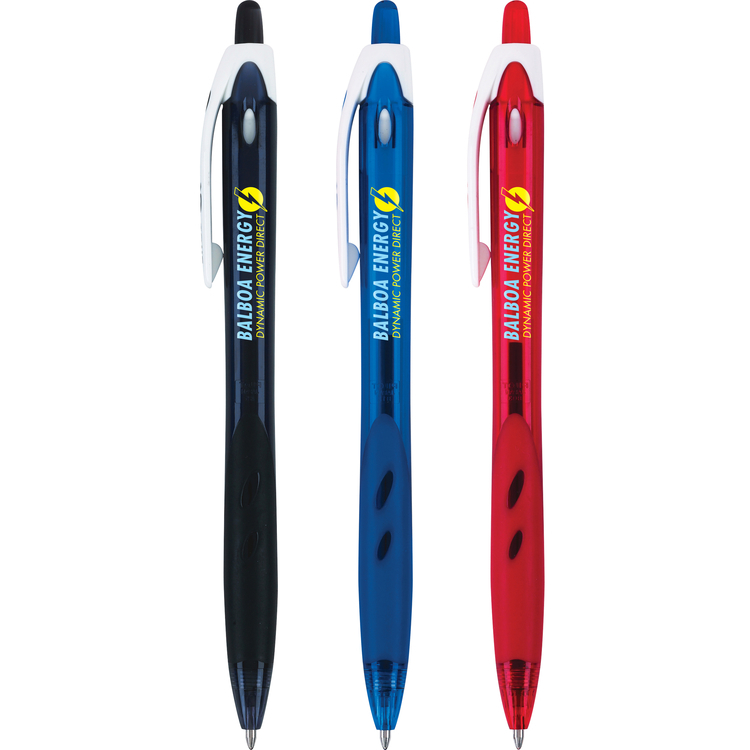 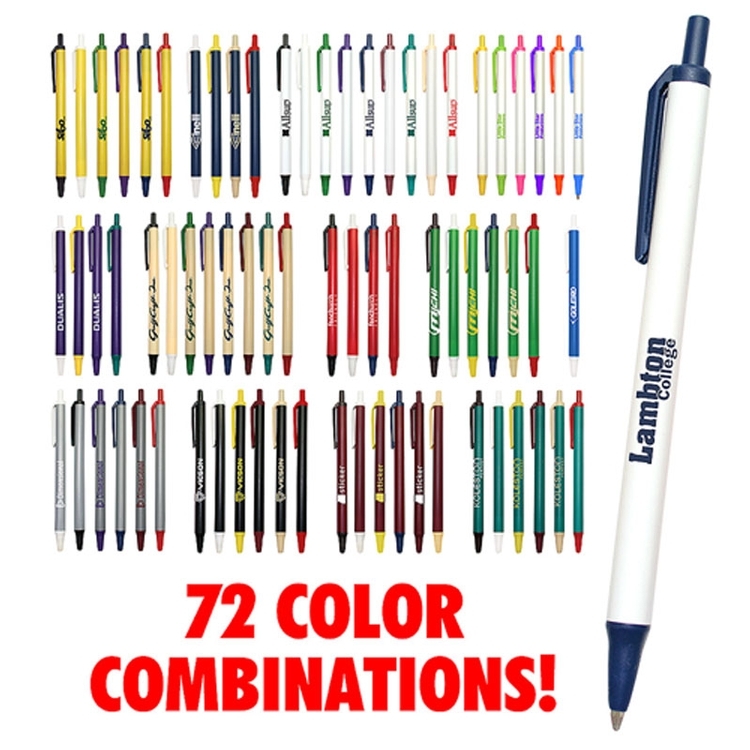 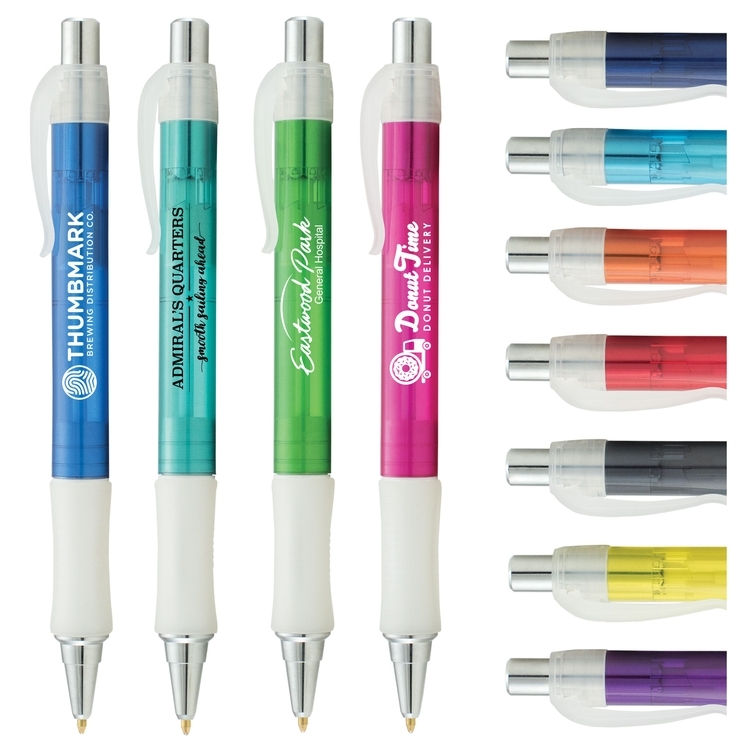 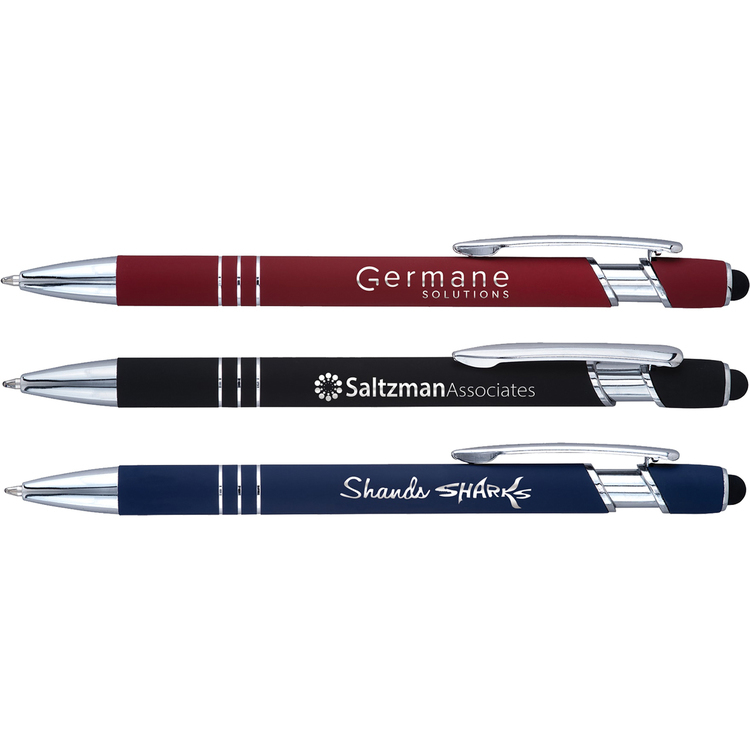 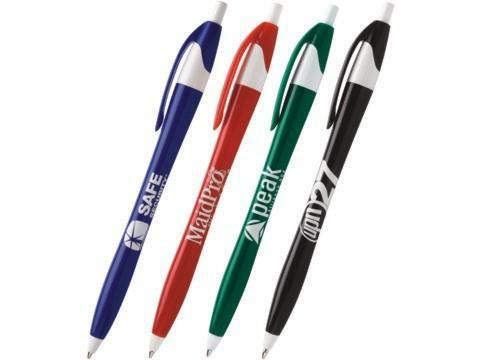 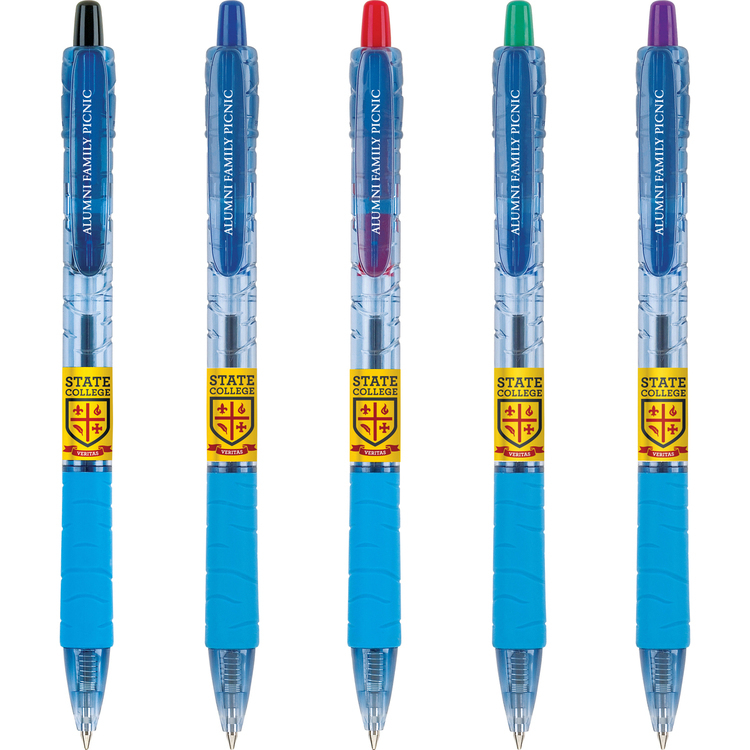 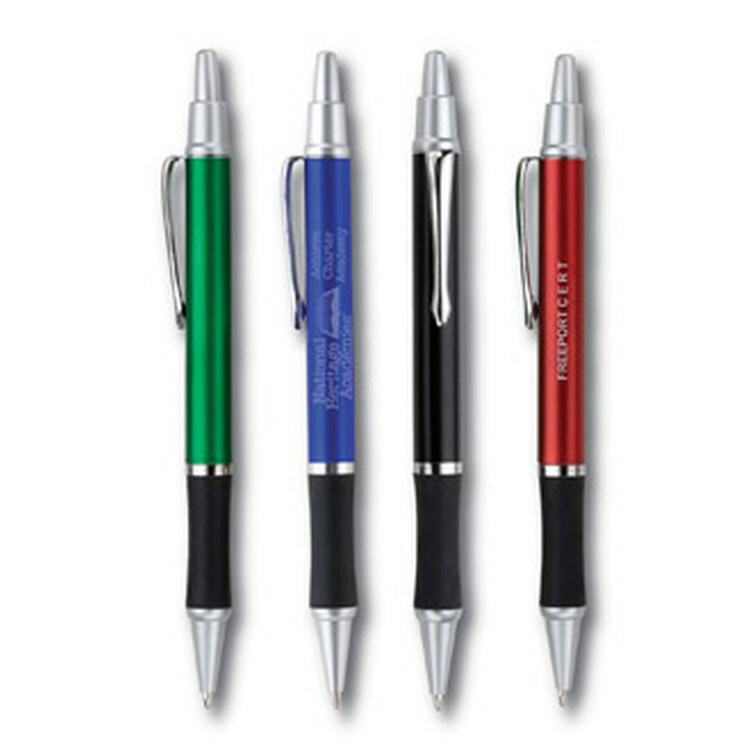 The syringe pen is great for hospitals, nursing schools, pharmacies and other healthcare themes. 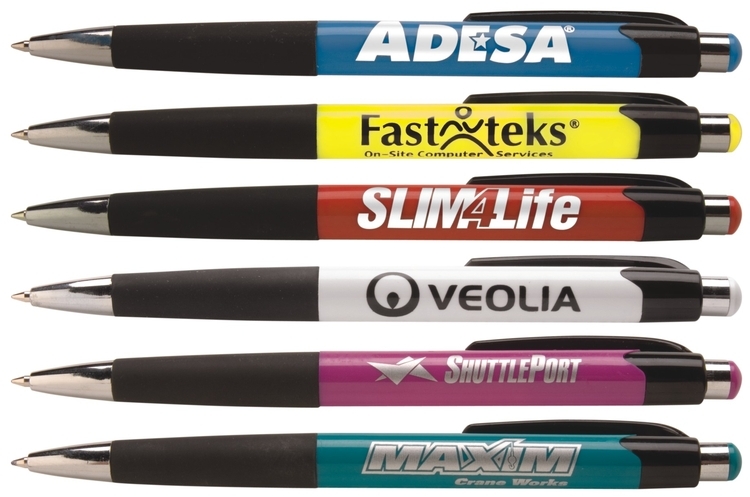 The shelf life of the liquid is six months. 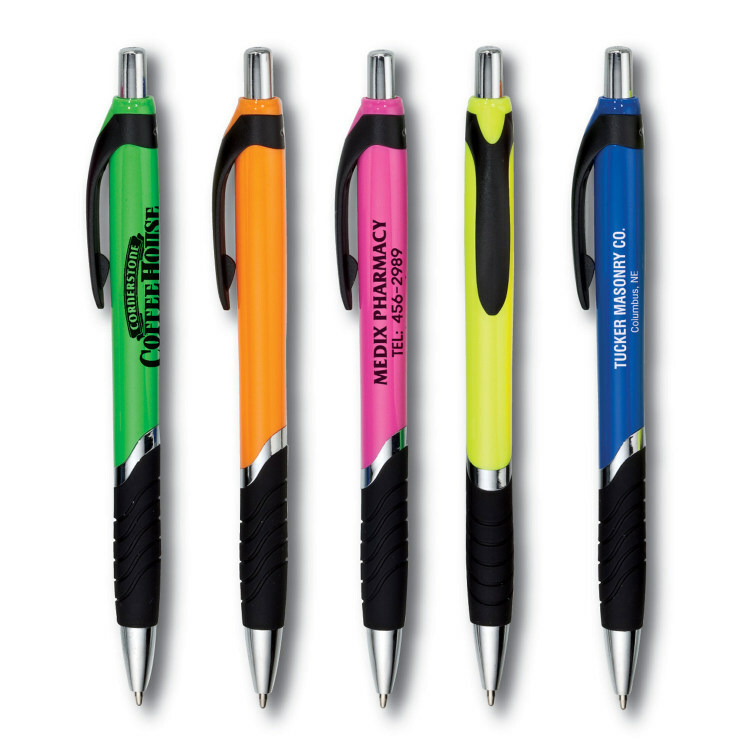 The liquid comes in six different colors to serve as a background to your printed company logo. 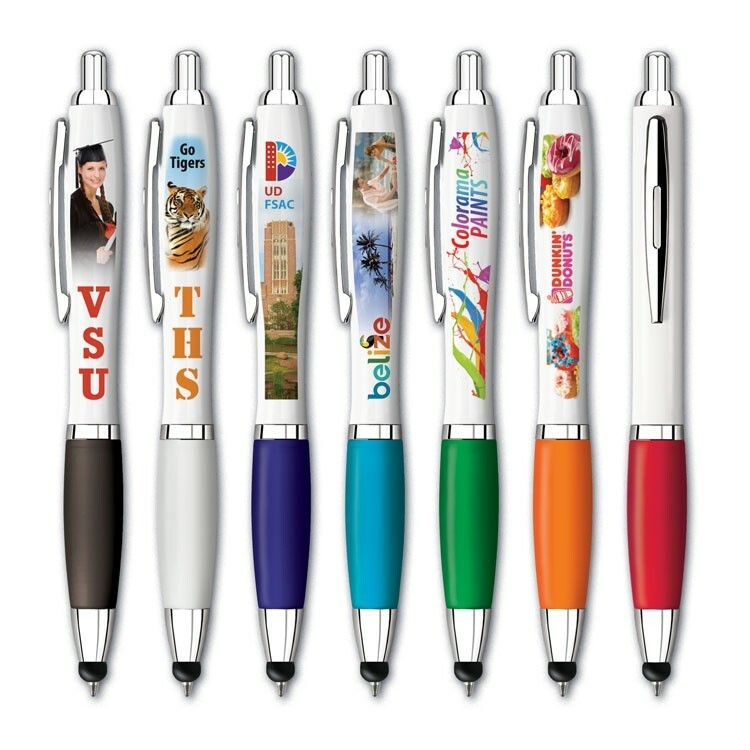 Pump up your brand!